A Warren Circuit Court jury has returned a verdict in the civil trial of U.S. Senator Rand Paul and the neighbor convicting of assaulting him. After one-and-a-half hours of deliberations on Wednesday, jurors awarded Paul $7,834.82 in medical expenses and $200,000 for pain and suffering. Rene Boucher was also ordered to pay $375,000 in punitive damages to Paul. "Certainly not what we expected. I haven't gotten my head around it yet," responded Boucher's attorney Matt Baker. "It's just not what we expected." 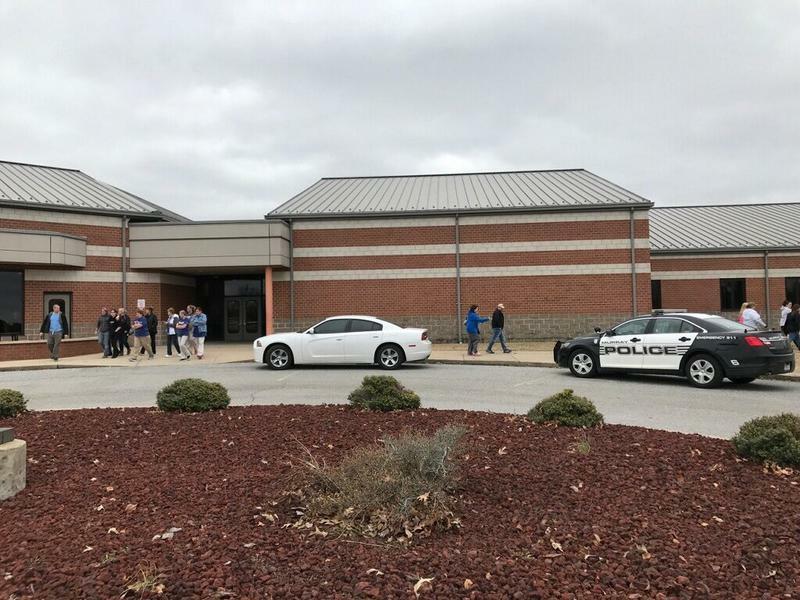 The Republican lawmaker was seeking a maximum of $1.5 million in damages stemming from the attack outside his Bowling Green home in 2017. Following the verdict, Paul said the case wasn’t about money, but sending a message to the public. After the prosecution wrapped up two days of testimony, the defense rested on Wednesday without calling any witnesses. In closing statements to the jury, Boucher’s attorney Matt Baker painted his client as a retired physician and military veteran with no prior criminal record. He said Boucher was profoundly sorry for the assault that left Senator Paul with six broken ribs and later pneumonia and a hernia. “If he had any two minutes of his life to do over, this would be it,” remarked Baker. Baker sought to paint two different pictures of how life has transpired for Paul and Boucher since the November 3, 2017 attack. Baker said since that day, Boucher, a retired anesthesiologist, has been arrested, charged with misdemeanor assault, and had a restraining order placed against him. Then he was charged in federal court and pleaded guilty to assaulting a member of Congress which made him a convicted felon. Boucher served 30 days in prison, performed 100 hours of community service, paid a $10,000 fine, and continues to be on probation stemming from his conviction in the criminal case. "He's been punished enough," Baker suggested. In contrast, Baker told the jury that Paul was cleared to return to work seven days after the assault and has resumed his normal lifestyle as a U.S. Senator who’s traveled the world, been golfing and skiing, and takes nothing more than over-the-counter pain medication. In his closing statements, Paul's attorney Tom Kerrick reminded the jury of previous testimony from medical doctors who said the 55-year-old senator's injuries left him at increased risk of rib fractures, chronic pain, and pneumonia in the future. He suggested to jurors that every time Paul feels pain, it will take him back to November 3, 2017 and asked the panel to consider imposing a significant award for past and future, physical and mental suffering. Kerrick quoted former President Andrew Johnson who once said, "The law is nothing more than common sense." He acknowledged that Boucher apologized in federal court just before his sentencing and again this week during his civil trial, but cast doubt on whether his apology to the Pauls was sincere, noting the counter lawsuit he filed against the couple. Common sense doesn't tell you this individual is sorry, said Kerrick. "Actions speak louder than words." The man at the center of the civil lawsuit filed by U.S. 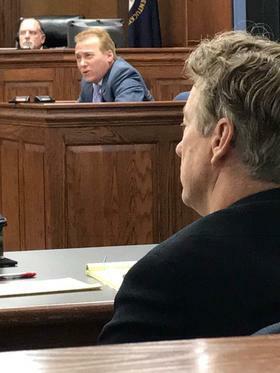 Senator Rand Paul took the witness stand Tuesday afternoon. Retired anesthesiologist Rene Boucher apologized to Paul for attacking him in 2017, after becoming enraged over a dispute centering on yard debris. "I pled guilty to what I did. I did this," Boucher told jurors. "What I did was wrong and I admitted it." Paul's attorney Tom Kerrick questioned his sincerity since Boucher has filed a counter lawsuit seeking monetary damages from the Paul's. Boucher testified that he tried to talk with Senator Paul about his yard conditions, but the Republican lawmaker ignored him. The night before the attack, Boucher said he took it upon himself to burn one of Paul’s brush piles that was close to the retired anesthesiologist’s home. Boucher suffered 2nd degrees burns while trying to dispose of the yard debris. The next day, Boucher said he was in a lot of pain from the burns and wasn’t thinking rationally when he ran outside and tackled Paul without warning. The attack left the senator with broken ribs and later pneumonia. Senator Paul had surgery last week for a hernia, which his doctors have testified was likely caused by the assault. Paul is seeking a maximum of $1 million in damages. Boucher's lawyer, has said a "reasonable award" might be in order for Paul's pain and suffering but has said no punitive damages should be awarded. The two are neighbors in the Rivergreen community of Bowling Green. Boucher was convicted in criminal court following the assault, and sentenced to 30 days in prison. Following Boucher's testimony, Kelley Paul testified about seeing her husband right after the attack. "He was shallow breathing, short of breath, dead white, blood coming out of his eye, very shaken up," Paul testified. "I was terrrified." Three neighbors who are friends of Paul and his wife testified on Tuesday they were not aware of any dispute between Paul and Boucher before the attack. The case could go to the jury later today. Boucher is already deemed liable, but jurors must determine how much money should be awarded to Paul. Paul is now suing Boucher for a maximum of $1 million in compensatory damages. Earlier in the day, jurors were bussed out to the area where the assault occurred. The day began with jurors hearing a recorded deposition from Dr. Brian Monahan, the physician to the U.S. Congress. He offered his medical expertise on Sen. Paul’s injuries related to the attack by Boucher. A second day of testimony is underway Tuesday in the civil trial of U.S. Senator Rand Paul and the neighbor convicted of assaulting him. Paul is suing Rene Boucher for monetary damages stemming from an attack outside his home in 2017. Jurors were shown a videotaped deposition with Dr. Brian Monahan, the physician to the U.S. Congress. He testified about seeking Sen. Paul when he returned to Washington ten days after the attack outside his Bowling Green home. At the time, Paul had pain in his chest and back from broken ribs, labored breathing, and fluid around his lungs. He saw the Republican lawmaker a couple more times in 2017 but didn’t see him again until last month. During the most recent visit, Paul complained of discomfort in the groin area and prolonged pain with standing and walking. Dr. Monahan testified that he thought Paul had a hernia and that it was related to the assault. "I believe it was related to the rib fractures due to the coughing and pneumonia illnesses that followed the rib fractures," Monahan explained.. "Any process that causes increased pressure in the abdomen such as the violence of coughing, puts stress upon the ligaments or the protective structures in the groin area that protect against hernia." Paul had surgery last week to repair the hernia. Under cross-examination by the defense, Monahan acknowledged it was possible the hernia could have been caused by yard work, heavy lifting, the aging process, or by genetics. Earlier in the day, the jury was bussed to the gated Rivergreen neighborhood to view the properties of Paul and Boucher and the site of the assault. The prosecution is continuing to call witnesses Tuesday afternoon. The second day of the Rene Boucher civil trial is underway at Warren Circuit Court in Bowling Green with testimony from Dr. Sean Willgruber, a radiologist with Graves-Gilbert Medical Clinic. He told jurors Sen. Rand Paul's injuries were consistent with being tackled, and that it would take between three months to a year for someone of Sen. Rand Paul's age to heal from such injuries. Jurors are scheduled to be taken to the spot where Boucher attacked Paul over a disagreement concerning yard debris. U.S. Senator Rand Paul of Kentucky said he feared for his life when he was blind-sided by his neighbor and tackled to the ground over a property dispute in 2017. The Republican lawmaker took the witness stand on Monday in his civil trial against retired anesthesiologist Rene Boucher. Paul said after he was tackled from behind and sent rolling downhill not knowing who was attacking him, his mind immediately went back to earlier in the year when he escaped gunfire at a congressional baseball practice near Washington D.C.
“The thought crossed my mind, ‘I may never get up from this lawn,’” Paul testified. He recalled not being able to breathe and blood coming from his face, but finally getting on top of his attacker and realizing it was Boucher. He said the attack came out of the blue and that Boucher never reached out to him to express his frustrations over how Paul maintained his yard. "We never got an email to complain. We never got a phone call to complain, and we never got a sorry," Paul told jurors. "Anybody that thinks he's sorry about this, he's sorry about getting caught." Boucher was having trouble selling his home next door to the Republican lawmaker and blamed Paul. Boucher claims the attack was prompted after years of Paul placing leaves and limbs on the property line and allowing his trees to become overgrown. Special Judge Tyler Gill granted a defense motion to have the jury travel to the site of the attack. Jurors on Tuesday will be bussed to the upscale Rivergreen subdivision in Warren County to view Paul and Boucher’s properties. Paul recalled having "the pain of a thousand knives" from six broken ribs he received from the assault. The Republican lawmaker said he still takes over the counter pain medicine daily and has some limited mobility. Under cross-examination by the defense, Paul acknowledged that his daily activities are the same now as they were before the assault, although with mild pain. Boucher's lawyer, Matt Baker, told jurors that Paul has resumed his customary lifestyle, including golfing and snow skiing. Paul is seeking up to $500,000 in compensatory damages to pay for medical costs, as well as pain and suffering. He's asking for a maximum of $1 million in punitive damages to punish Boucher for his misconduct and deter future acts of violence. While on the witness stand, Paul expressed discontent with the 30-day prison sentence that Boucher served after pleading guilty last year in federal court to a felony charge of assaulting a member of Congress. “He got the sentence of a shoplifter," Paul said. Federal prosecutors are appealing the sentence and argue that the appropriate punishment would be 21 months as recommended by federal sentencing guidelines. Jury selection is complete in the civil trial involving U.S. Senator Rand Paul and the neighbor who assaulted him over a yard dispute. Seven men and seven women have been impaneled Monday to hear the case against Rene Boucher, who pleaded guilty in federal court last year to assaulting a member of Congress and served 30 days in prison. Two of those jury members are alternates. Opening arguments also began Monday. Sen. Paul suffered six broken ribs in after Boucher tackled him while he was doing yard work at his Bowling Green home in 2017. The Republican lawmaker is seeking up to $500,000 in compensatory damages and up to $1 million in punitive damages. Boucher has already been ruled liable, but the jury will determine how the amount of damages. Both men were in the courtroom today and will testify at some point during the course of the trial this week. U.S. 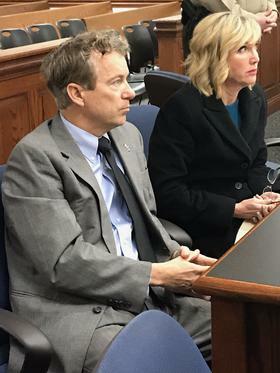 Senator Rand Paul and the neighbor convicted of assaulting him outside his Bowling Green home are expected to come face to face in a courtroom this week. Paul is seeking monetary damages against Rene Boucher in a civil trial that starts with jury selection on Monday in Warren Circuit Court. Senator Paul is suing Boucher for a maximum of $500,000,000 in compensatory damages and up to $1 million in punitive damages. Special Judge Tyler Gill has already ruled that Boucher is liable after pleading guilty in federal court to assaulting a member of Congress and serving 30 days in jail. Boucher told police that Paul had blown leaves and piled sticks on his property for nearly 20 years and that his anger finally boiled over, prompting the November 2017 attack. However, jurors are expected to hear testimony that Boucher never raised any property issues with Paul or filed a formal complaint with the Home Owners Association in the upscale Rivergreen subdivision. Senator Paul is expected to be in court fresh off of surgery related to the injuries he sustained in the attack, including multiple broken ribs. The Bowling Green Republican was scheduled to have a hernia repaired last week in Ontario, Canada. Kentucky Gov. Matt Bevin said he hoped to avoid weighing in on the confrontation between students at Covington Catholic High School and activists in Washington D.C, but took to Twitter on Tuesday to criticize "liberals" who were upset by the controversy.